New Delhi July 12 (IANS) The final autopsy report in the mysterious deaths of 11 family members in the capital released on Thursday confirmed they all died of hanging and it was a case of mass suicide in a ritual practice by family suffering from a shared psychological disorder police said. No occultist or godman has also been found involved a senior police official said. "The board of doctors in the report declared all the family members including septuagenarian Narayani Devi had died of antemortem hanging. The final postmortem report and eight register entries found from their residence have supported it is case of suicide pact " said Joint Commissioner of Police Crime Branch Alok Kumar. "During investigation it was also found that all the members hung themselves as per the registers entries directions. Nine of them were found hanging to iron grills one at a window in a prayer room and Narayani Devi in a bedroom. "Still the investigation is underway as there is a lot left to investigate in the case. We will soon send viscera samples to FSL and conduct the psychological autopsy to clear the sequence of crime. We are in touch with best psychological experts " he said. Kumar said no occultist or a godman has been found involved in the chilling deaths that shocked the city. He said investigators have concluded that one of deceased - Lalit 45 who ran the plywood store was the mastermind and used to dictate how the rituals were to be undertaken and Priyanka 33 would note it down in a register. Lalit and other family members believed that Lalit was taking instructions from his father Bopaldas who died 10 years ago. "As per the register entries Lalit was possessed by the spirit of his deceased father. It is a case of shared psychological disorder which turned a ritual practice into a mass suicide " the police officer said. "They believed they won t die and Bopaldas would come to meet them and bestow them with salvation." 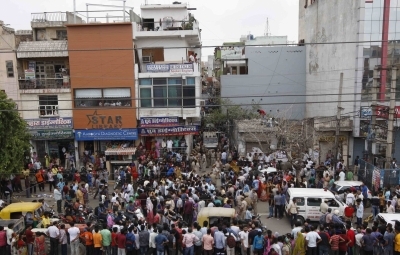 The 11 bodies -- seven females and four males -- were recovered from a two-storey house in Burari area of north Delhi on July 1. Ten of them were hanging with their hands tied mouths gagged and eyes covered with cloth pieces in Sant Nagar.